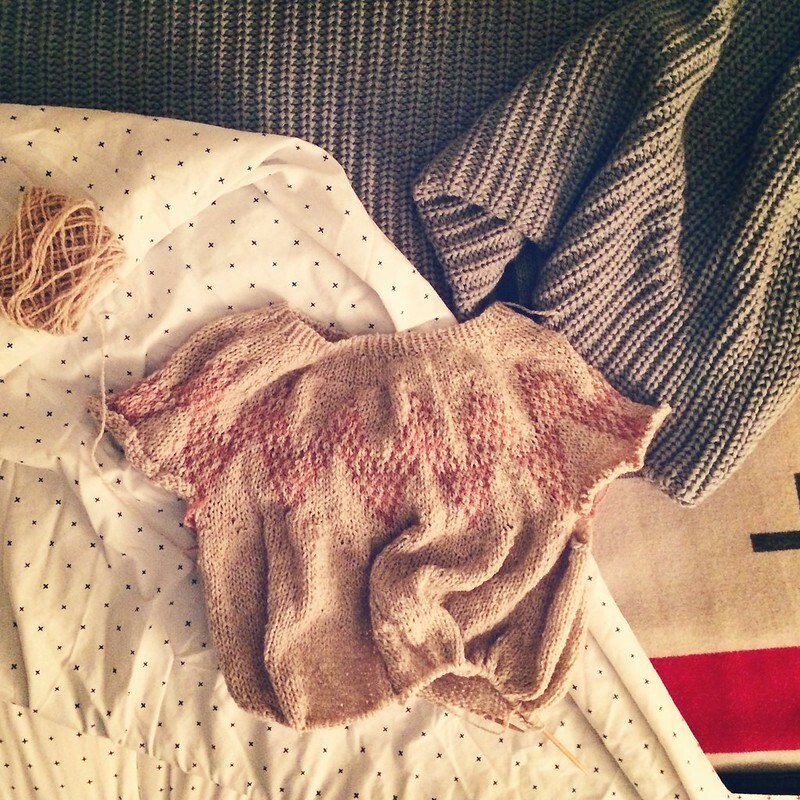 Here’s the progress I’ve made in the last week on my Willard Fair Isle Pullover by Hannah Fettig. I love the results so far. It’s a really quick knit. The only finnicky part so far was the tubular cast on. I don’t know why mine was coming out so loose, so I definitely took it out more than once. This sweater is knit up using Quince and Co Owl in tyto for the main color and canyon for the yoke color work. I love the combination and I don’t have any of these colors in my wardrobe. It’s a perfect move away from gray and more gray and gray. The fair isle portion takes no time at all and is really easy to memorize. I should have this done shortly, but it’s been sidelined for some Christmas gifts, which I did say I wasn’t going to do this year. Sigh. I always get myself into stitches.